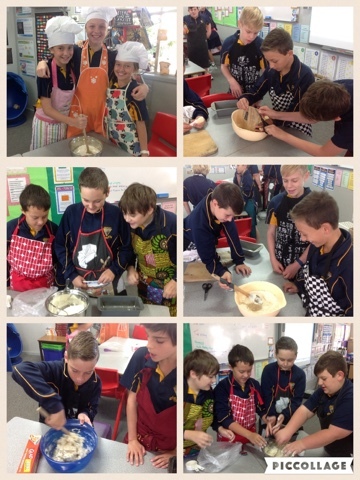 Stage 3 Learning Centre: Bread!! 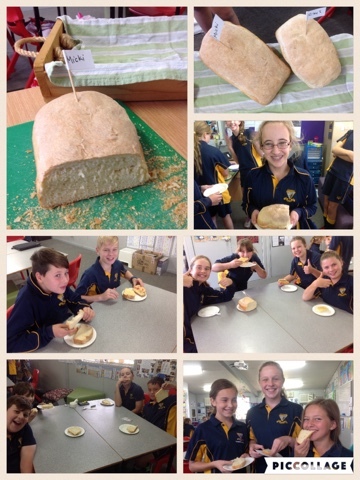 This week Year 6 made bread as part of our Science unit to think about how micro-organisms can be used to make food. The bread mix was provided but students brought in the other equipment and we made the bread in our classroom. We had to mix the dough, knead it and leave it to rise. 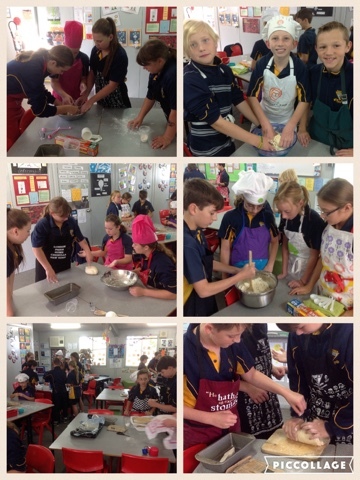 We then kneaded it again before taking the dough down the kitchens to be baked. When the bread was ready the lovely teacher's aide Mrs Wood brought it up for us along with some butter and spreads. We had a feast! I did overhear several students say it's the best bread they've ever tasted. There's nothing like fresh bread!